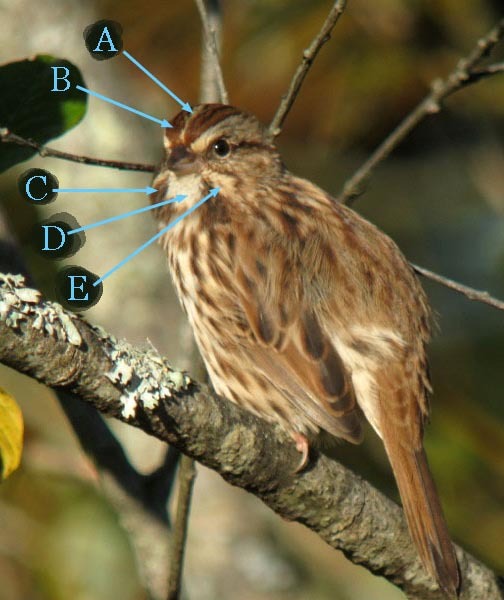 The three photos below show a Song Sparrow as it turns its head. 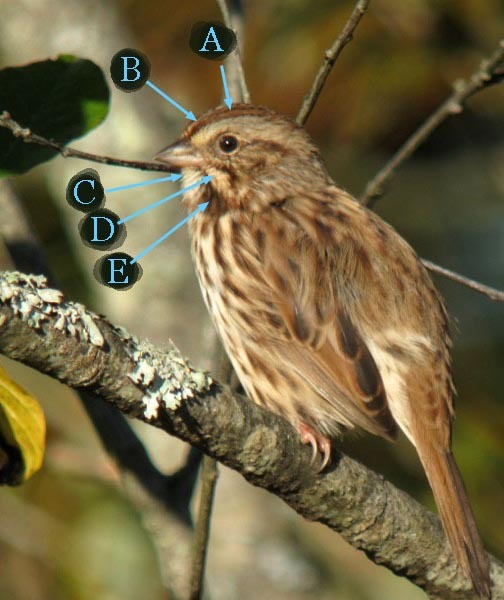 Your challenge is to locate the plumage marking known as the lateral throat stripe in each photo. Photos ©David Sibley. Sep 2012, Concord MA. Congratulations - you have completed Head patterns. David: I’ve quite enjoyed the on-line quizzes that you post, and for a few years now I have steered my natural history students to them to test and refine their skills. 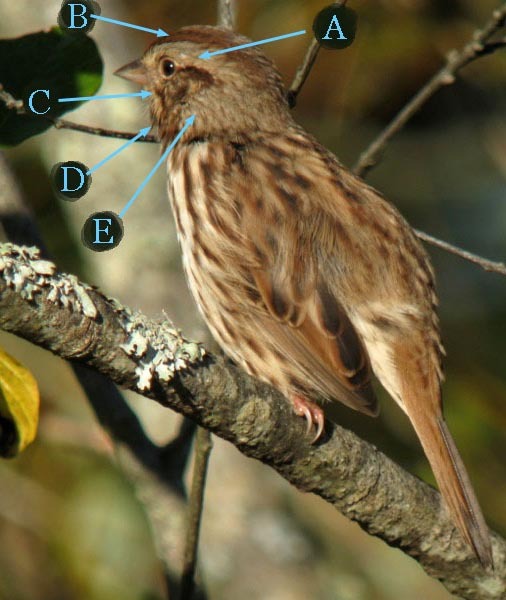 You now have so many of them, I’m wondering if you’ve ever developed an index to them so that people looking to test themselves on a specific topic, like head plumage, could easily navigate to the relevant quizzes.